Which Music Pack do I need? 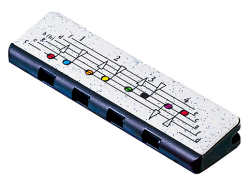 A Standard Music pack contains two harmonicas (one 4 hole and one 10 hole), a Music Diary, Harmonica Map, Music Book, Pen and Promotional Items such as stickers when available. Standard Music Packs are £19.99 and can be ordered through our Store when you first subscribe to Harp Academy. Contents can be adapted to suit your child’s Key Stage level and musical ability. Standard Music Packs have everything you will need to bring along each week. Budget Packs are £13.99 and contain the basics. These are especially useful for those wishing to add items periodically, supply their own items, or re-use a sibling’s kit. 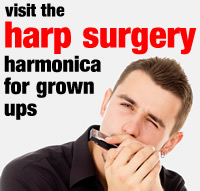 A 4 hole harmonica is supplied free of charge with every Taster Session, and it’s yours to keep. When subscribing in full, each child must have at least one 4 hole harmonica and a Music Diary. Diaries come as part of our Standard and Budget Music Packs, or can be ordered individually through our Store for just £2.50.